The Aluminum Chrome Brake Proportioning Valve is a three-function combination brake proportioning valve. The Brake Proportioning Valve fits For GM, Universal, Chevrolet and Pontiac series vehicles. The HBS part number is AC DELCO # 172-1361AC. We have various Brake Proportioning Valve, like AC DELCO # 172-1353, PV3, AC DELCO # 172-1361, PB212P, PB212 and so on. Please check on our page about these brake proportioning valve. 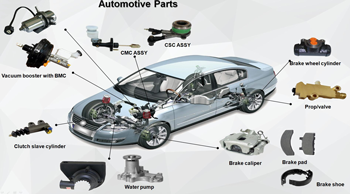 The matched Brake Vacuum Booster, Brake Master Cylinder, and Brake Lines are also supplied as follow. Just check the following details and contact us with your specific request. Then we can recommend suitable products to you. This part is compatible with 63 vehicle(s). Proper operation of your brakes is essential for your safety and the safety of Others. Any brake service should be performed ONLY by persons experienced in the installation and proper operation of brake systems. It is the responsibility of the component or kit for the particular application. DO NOT DRIVE WITH UNTESTED BRAKES! The most common proportioning valve plumbing is shown. An alternative plumbing method is to plug off the top front line and have the bottom front line go to a "T" fitting. From the "T" fitting, the front lines are then split off to the left and right calipers. 1. Use a test light by attaching a clip to a positive contact on the vehicle and the point of the tester to the electrical connection of the combination valve. If the light does not come on, the valve system is operating correctly and no further testing is required. 2. If the light does come on, this indicates that the pressure differential valve is tuck in the front or rear position. 3. Bleed the brake system to determine if the front or rear lines are blocked off. Set up one front wheel and one rear wheel for bleeding at the same time. Crack both bleeder screws and gently pump the pedal a few times. The blocked side will trickle fluid out when the bleeder screw is cracked and the pedal pressed. An unblocked line will squirt fluid out the bleeder. 4. The lines that are clear must be left open and the blocked lines should have the bleeder screws tight to cause pressure to build up on that side. Be sure to use the standard bleeding procedures to prevent air from entering the system. 5. Slowly press the pedal with steady pressure a number of times until the light goes out; this will center the differential valve. You may also hear a pop come from the proportioning valve. This is the metering valve returning to its equalized position. When the light goes out, close the bleeder screw. 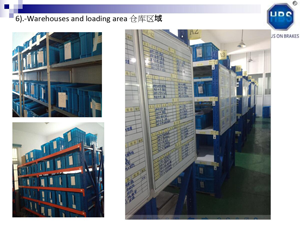 QUZHOU Hipsen VEHICLE PARTS.,LTD is located in QuZhou, ZheJiang,China,which is a professional manufacture in chasis parts of motor vehicles. 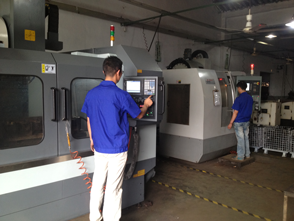 HBS had been manufacturing chasis parts for local OEM and export after market more than 15 years. QUZHOU HIPSEN TRADING CO.,LTD is located in QuZhou,ZheJiang, China,which is our export company to handle all the export paperworks and the custom operations process for all of our sub-contractors. 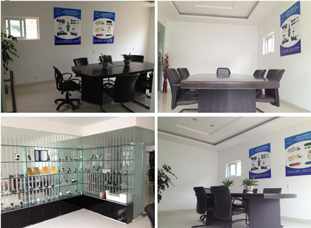 To Supply High Quality AutoMobile Parts to our Customers,To Help Our Customer Earn More Profit is our Number one Aim. 3. Heavy Equipment Spare Parts(Brakes,Engine and Electronic Parts) for tractors, excavators, loaders,dumpers, forest machinery..etc. 1. To reduce your cost, expand your market share and improve your business reputation. 2. High Quality AutoMobile Spare Parts under TS16949,QDA6.1 QS9000 Standards. 4. Fast delivery. Leadtime is 30 to 40 days upon the reciept of 30% deposit for complete new orders. 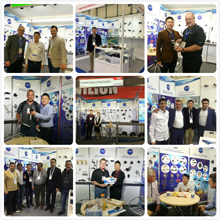 Welcome customers from worldwide to have cooperation with us. Our goal is "Work Together, Strive For Better" .